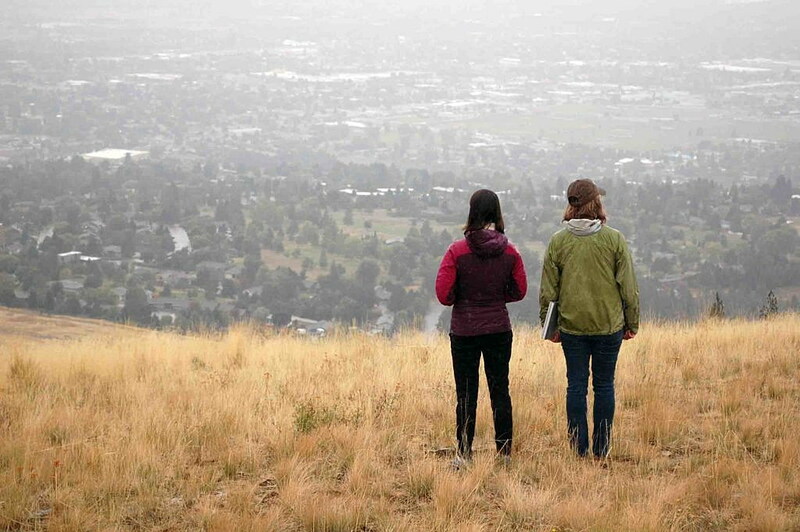 Open space advocates celebrated the city’s purchase of the South Hills Spur last year, hailing the acquisition as a welcome addition to Missoula’s ring of scenic views and native ecosystems. Now, it’s time to implement a plan to manage the 174-acre parcel, and Missoula Parks and Recreation is looking for public feedback. The department this month released a draft of its South Hills Spur Recreation Management Plan, a document that looks at naming rights, preservation of fragile habitats, trail building and signage. Public comments will be accepted through April 2. The South Hills Spur encompasses 174 acres between Pattee Canyon and the South Hills, and it offers unfettered views of the Missoula Valley from a sweeping grassy knoll. Five Valleys Land Trust had acquired a portion of the property last year and gave the city the option to buy it for roughly half of its $1.2 million value. In approving the purchase, the city agreed to expend up to $575,000 from its portion of the 2006 Open Space Bond. The new acquisition could be added to other parcels in the area as part of a larger effort to preserve what advocates are calling the Mount Dean Stone Project, which could someday encompass roughly 4,000 acres. Gaukler said the new plan implements lessons learned from the city’s other parcels of open space, including Mount Jumbo and the North Hills. The plan suggests naming the parcel’s two proposed trailheads after the families that were instrumental in making the acquisition possible. That includes the Barmeyer Family, which made the donation that helped launch the project, and Mike Sosa, who pulled his property from future development and sold it below the appraised value. From the two trailheads, the plan proposes roughly 3.4 miles of trail. One mile currently exists, though it will require significant improvements. A portion of the current trail will be closed and restored by covering the ground with slash and planting native seed to help with regeneration. Initial costs and weed management of the property are funded in part by Open Space Bond funds. Implementing the large plan, including trails, signage and site restoration, will be funded by the city’s Conservation Lands Management Program and its annual operating budget. Gaukler added that the timeline for public use will be contingent on feedback on the management plan.